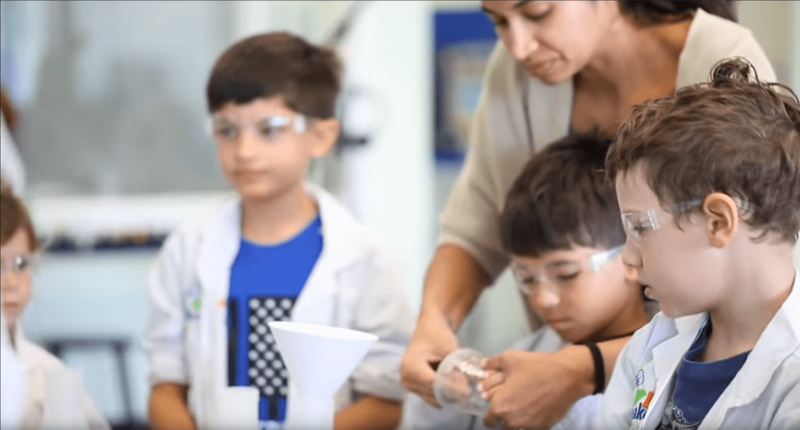 Little Beakers of Cypress,TX opened its doors in June, 2012 and has shown tens of thousands of kids that science is not just watching their teacher do a neat experiment or flipping through a text book. The real fun, and subsequent learning, comes from the classical hands-on approach whereby trial and error experimentation leads to a quicker understanding of a given topic and a much clearer understanding of supporting theory in text books. Located conveniently between highways 249 and 290 near the corner of Grant and Louetta across from Kroger between Baskin Robins and Subway. Located only minutes from The Woodlands Mall! Take the Robinson Rd exit east off of I-45, turn right onto Hanna Rd at the 'T', turn right into Hanna Business Park. We are right behind TADA (Texas Academy of Dance Arts).